We offer a cage lorry service and a garden and site clearance service. A cage lorry can be the right solution for many businesses requiring a rapid site clearance, such as householders, builders and property developers. 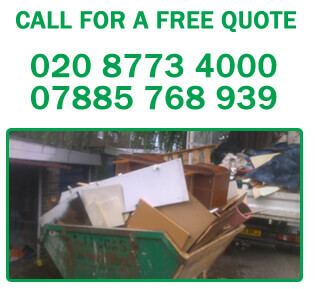 A cage lorry can be a quicker and a more suitable option for anyone waiting to remove unwanted rubbish, furniture, carpets, kitchen units, electrical items (e.g. TV’s) white goods (e.g. fridges). There are no hold ups whilst waiting for a skip licence to be issued and drivers are available to help you load. A cage lorry is ideal for clearing unwanted rubbish from the house, basement, loft or place of work. Cage lorries are ideal for collection of all types of awkward waste. Skip Licences are not needed. Drivers are available to help you load. A J Lucas offers a garden and site clearance service covering the clearance, removal and disposal of all types of rubbish. Our garden and site clearance includes all the labour required in clearing the site. We come fully equipped for the job. We will only start a job once you have agreed to our on site quotation. Our staff are very helpful, professional and always arrives on time.